Fast, presensitized polymer screen emulsion. Processing under yellow light is recommended because of the high light sensitivity. 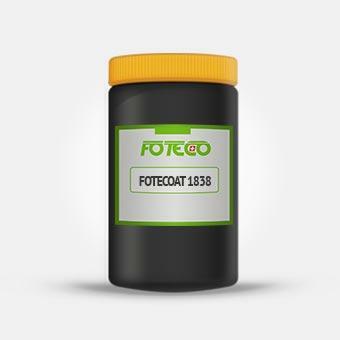 For long runs a small quantity of Diazo powder sensitizer can be added directly to the FOTECOAT 1838 1 sachet D2 for 4,5kg or 1 sachet D81 for 1,0 kg FOTECOAT 1838. Use only this Diazo sensitizer for direct addition without dissolving it firstly in water.